Chaque fois que nous aurons une bonne nouvelle à partager ou un message urgent à vous transmettre, nous l’afficherons ici. The primary philosophy of Rayne Clinical Nutrition is to bring simple, natural, whole food products to the veterinary market. Working with whole food ingredients is more challenging, but we are determined NOT to compromise our philosophy. WHAT DOES THIS HAVE TO DO WITH YOUR BEST BUD’S JERKY? Well...one of the things that makes our jerky treats so healthy and versatile – and useful even with dogs and cats with severe allergies – is that they are VERY simple ingredient. Every jerky has the same ingredients, 99% meat and 1% molasses and sea salt (and two natural preservatives). The molasses give the jerky a great texture and mean you can tear the treats into tiny pieces appropriate for kitties or for training, etc. The sea salt is part of the preservation process to ensure a safe, long lasting treat WITHOUT using any chemicals. Very often you will see ingredients like ‘propylene glycol’ in pet treats (and human food!). This chemical emulsifier helps preserve the treat and will keep salt from leeching out and becoming visible. Although this is safe and effective, it does not meet with our philosophy of natural, simple, healthy products. There are times that you will see visible “salt leeching” in your Rayne jerky treats, it will appear as a white residue on the surface of the treat. This can be after the treat has gone through different temperatures (for example while in transit to your veterinary practice) or can just happen over time. This absolutely DOES NOT represent any health risk to your dog or your cat. Every single batch of jerky goes through extensive testing before it is released into the market. We know that every piece of every batch is safe, tested, healthy, and delicious! We take the responsibility of being part of the medical management of patients in veterinary practices across Canada very seriously. We make these treats with the highest attention to quality and safety for your pets, and for ours. We feed these treats to our pets, every day. After all, we are pet owners, too. If you ever have any concerns or questions – reach out to us at info@raynecanada.ca. We want to hear from you and hear about your pets! Great news! As you likely remember, back in April 2017, our Canine Low Fat Kangaroo-Maint Wet was slightly out of the range of our typical key paramaters. That production run was a bit higher in calcium, phosphorus, and fat than usual. That being said, it was still 100% SAFE and met AAFCO standards. We are thrilled to announce that the lot numbers affected by this are now out of production and the product you know, love, and trust is back on spec ready to help out your canine patients. Especially those with fat intolerant patients! There were ZERO ingredient changes to get us back to our regular key paramaters. Please do not hesitate to call or email with any questions or concerns! The Whole Story on Whole Foods! Rayne diets are primarily made with whole food, less processed ingredients. Each individual bag or can of Rayne food looks distinctly different from the others: the texture, colour, and consistency reflect the individual ingredients that have gone in. Using whole food ingredients means there is more variability in appearance from batch to batch. Whole food ingredients vary in colour, texture, consistency, and density, just like when you cook at home. The experts on our Rayne manufacturing teams ensure that all of our incoming ingredients undergo extensive testing, right through production. Additionally, comprehensive in-house AND 3rd party (independent) analysis is done on each and every finished Rayne product to ensure we are delivering consistent and precise nutrition with each bag or can. This extreme dedication to quality and safety means each and every kibble and spoonful of wet food has been extensively tested for quality and safety before you feed it to your pet. Although our manufacturing team works very hard to minimize any changes, we expect to see variation in colour and size of kibble, as well as in colour, texture, and density of wet food. This is a reflection of the natural, whole food ingredients, and represents no concern for quality, safety OR nutritional precision. 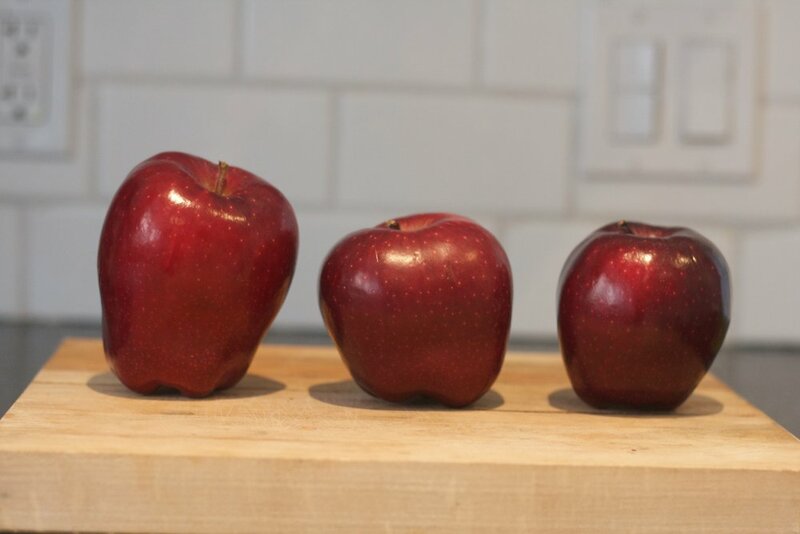 No two vegetables or fruits look exactly alike. Whole foods ingredients are just real food! Give your dog something to really chew on. Introducing the newest addition to our lineup of simple ingredient treats: Sweet Potato Crunch! We aren’t kidding when we say the ingredients are super simple, either: sweet potato & citrus fibre. They are made in Ontario out of local ingredients by a team that is 100% committed to producing the safest, highest quality treats! Ask your veterinary team for these great crunchy treats today. Speak with your veterinarian before feeding this diet. Working with whole food ingredients can be challenging. The coming lot of wet K9 Low Fat Kangaroo-MAINT, best before February 2019, has had some shifts in key parameters. • Fat content has increased to a moderate level of 36g/1000 kcal. This is similar to Rayne Growth/Sensitive-GI wet and Rayne Crocodilia-MAINT wet. • Phosphorus levels have increased to 4g/1000 kcal. This level remains below AAFCO maximum levels for maintenance in healthy pets. • Calcium Levels have increased to 5.75g/1000 kcal. This level remains below AAFCO maximum levels for maintenance in healthy pets. • Carbohydrate levels (CHO-NFE) have declined to 96g/1000kcal. • Calories have decreased from 302 to 285 kcal/400g can. The best before date is February 2019. There has been absolutely no change to The Low Fat Kangaroo Maint. kibble. If needing to transition to a new diet, please do so over 5 -7 days to minimize any risk of gastrointestinal upset. Please do not hesitate to call or email with any questions or concerns regarding ongoing use of Rayne Low Fat Kangaroo-MAINT wet diet. Disclaimer: Alternate company diet key parameters have been obtained from the most recently available company product guide. Please double check with your corresponding representative if you have concerns. Grand prize is a custom stuffed animal form Petsies! They make stuffed animals made to look JUST LIKE your pet! How cool?! So cool. WAIT. WHO'S TAIL ARE YOU TRYING TO PULL?? We are always working to improve the lives of our pets. We have officially launched our Crocodilia line with - you guessed it - alligator as the protein source. Alligator is an extremely novel protein. Using a unique protein eliminates any risk of cross reactivity with other proteins available in the market. Crocodilia-MAINT has the addition of other unique ingredients; Algae meal to provide Omega 3 fatty acids, Coconut oil for Omega 6 fatty acids, and FOS to deliver a prebiotic. more options. With the addition of Canine Rabbit-MAINT wet and Canine/Feline Rabbit-DIAG we do just that. With these two new diets, our rabbit line up is continuing to grow. Rayne has the only comprehensive line of wet food, dry food, and treats to help manage allergies. We are very excited for our newest diet to add to the Rayne line-up. Suitable for weight management and joint health, Healthy Reduction-MCS is finally here. Reduction-MCSTM helps maintain a great weight and lean muscle. Turkey, provides a balanced level of essential amino acids and is a good source of micronutrients. Salmon oil is an excellent source of Omega 3 fatty acids (EPA, DHA, and DPA) which help maintain healthy joints. Rabbit-MAINT wet and Canine/Feline Rabbit-DIAG we do just that. With these two new diets, our rabbit line up is continuing to grow. 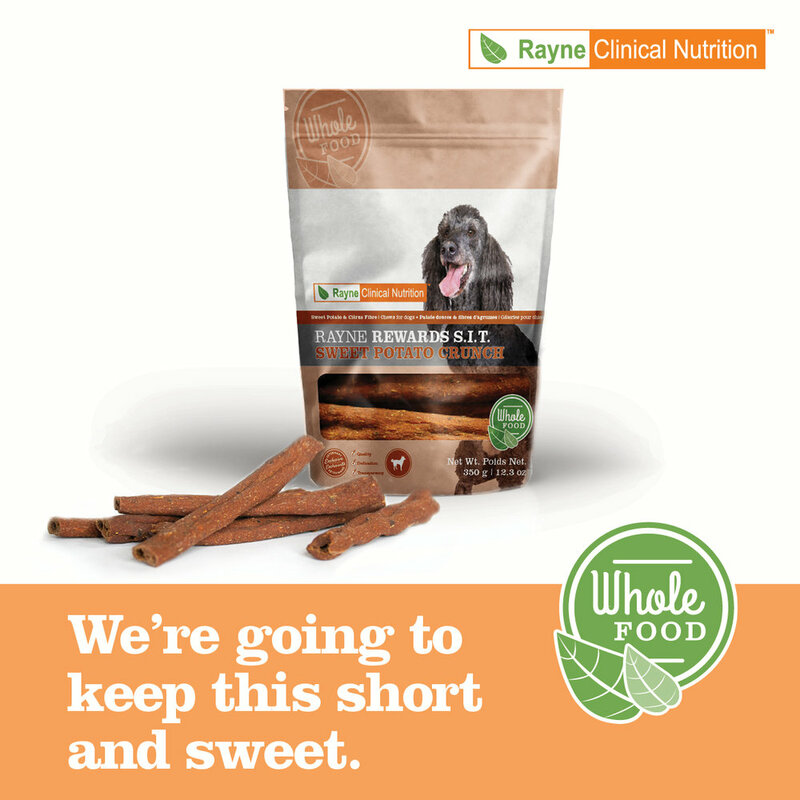 Rayne has the only comprehensive line of wet food, dry food, and treats to help manage allergies. As a completely veterinary exclusive company, we will always be responsive to the veterinary market. We have had some great feedback about our size offerings. To simplify things, we will be transitioning from having a 2 and 4 kg size to one, unified 3 kg size. The price of the 3 kg represents a blend between the 2 and 4 kg cost/kg to ensure a fair and consistent price to the market. This will also be the launch of our NEW look for the small sizes. The changes in names and look also came directly from market feedback. We are thrilled to be able to respond to what you want to see in both our product names and package design. The first diet to transition will be the K9 Low Fat Kangaroo-MAINT (previously named Low Fat/Novel Protein-KSP). Please note that there are NO ingredient changes from the current formula. The remainder of the diets will transition over the coming months, beginning with K9 Rabbit-MAINT (previously named Novel Protein-RSP), K9 Growth/Sensitive-GI (previously named Sensitive-GI), and K9 Adult Health-RSS (previously named Urinary Protection-RSS). Feline diets will follow shortly after. Please continue to share your feedback! We want to work with you to bring the best offering to veterinary nutrition in Canada. Know of dogs suffering with chronic Kidney Disease? Liver failure? Severe proteinuria? We have the ideal diet. An incredible diet targeted to meet the needs of this challenging patient group. with highly digestible ingredients and excellent palatability to support dogs with renal disease IRIS stage 2-4, dogs with liver failure, and dogs with severe proteinuria.